The technology of a resistance fighter, perfected for athletes. Why should humans not also be able to transport moisture across our skin? For example, to move sweat to zones which particularly require cooling? The Thorny Devil that lives in the Australian desert with little water has developed a system of water transporting channels on its body. These channels transport water from moisture and fog to its mouth using capillary action. According to the fractal principle (self-replicating principle) of self-similarity the structures come up with decreasing scale. Thus the effectiveness of the water conducting structures increases at the same time. 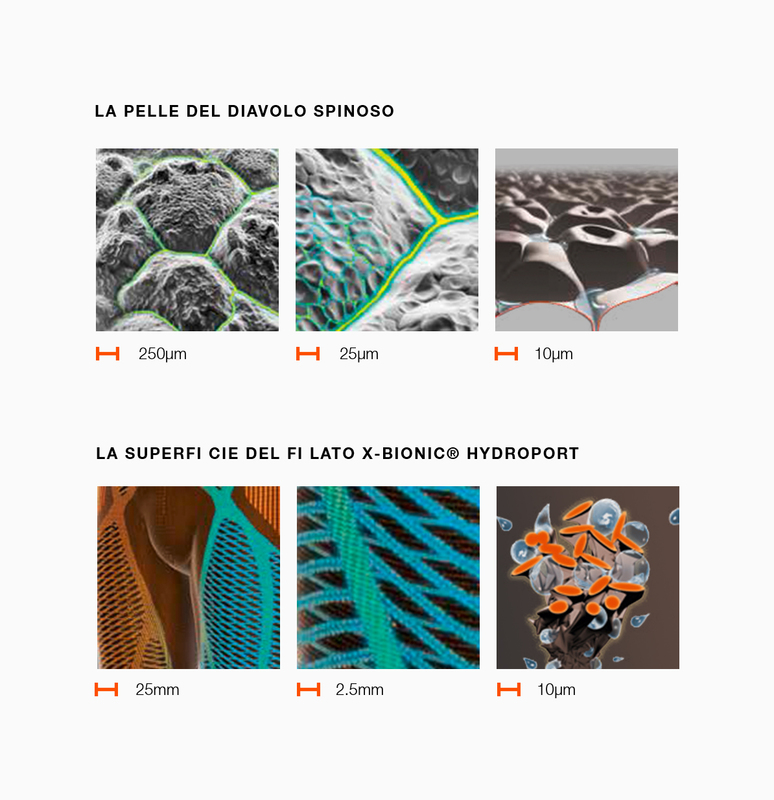 X-BIONIC® developers translated this capillary effect to athletic apparel to strategically transport sweat to parts of the body in need of intense cooling. 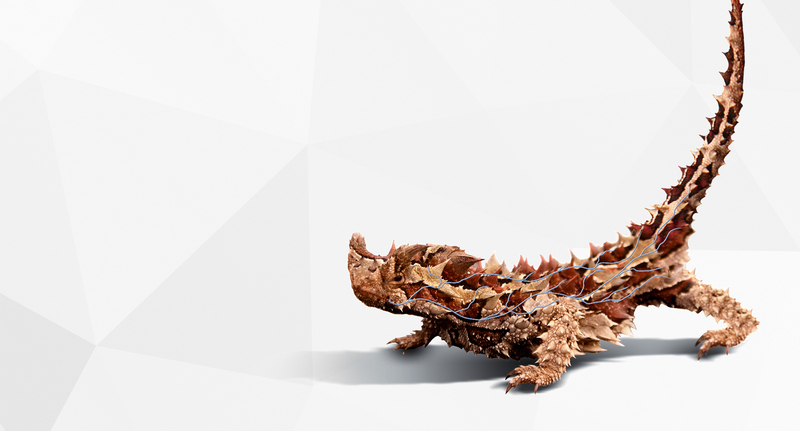 The honeycomb-like structure on the skin of the Thorny Devil renders the surface extremely hydrophilic. The water is sucked into small inter scalar channels which transport the water by capillary forces. Like a network of tiny canals, the sweat-transporting HydroPort yarn was developed using the precise principle of the Thorny Devil. Decisive advantage for your energy stores: stay cool. 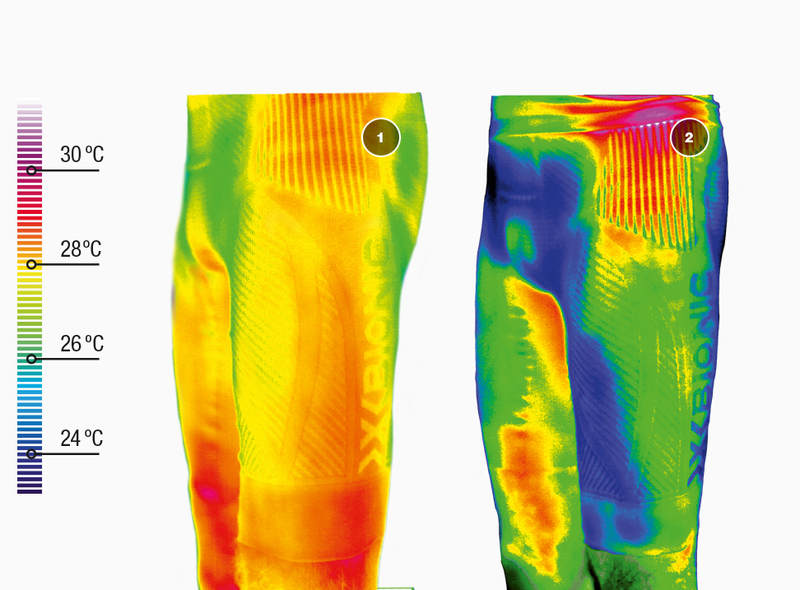 The Thorny Devil Technology guides sweat directly to heat-intensive muscle areas. There, it evaporates for an optimal cooling effect. Musculature is cooled powerfully and can perform longer.